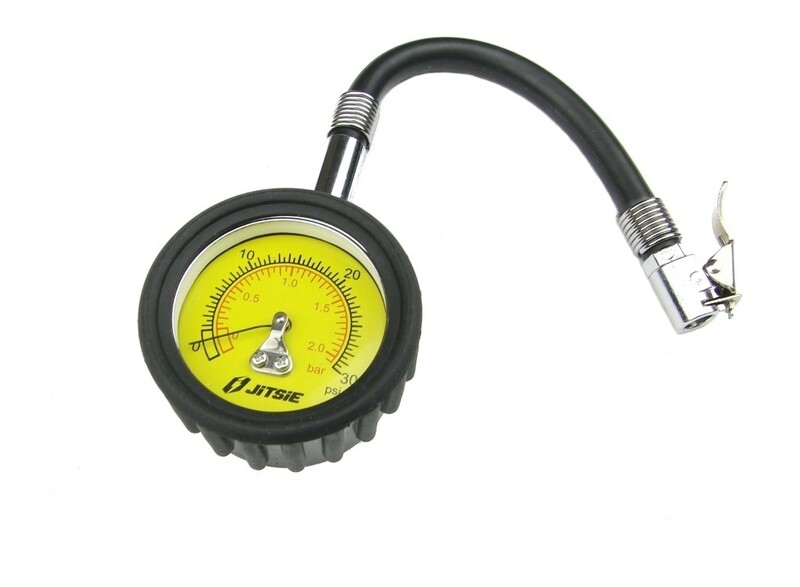 Quality pressure gauge from Jitsie. Bar reading (from 0 to 2,5 bar) or Psi (from 0 to 30psi). Easy to use with simple pressure release button to obtain precise tyre pressure without having to remove the gauge. Works with Schrader valves only.